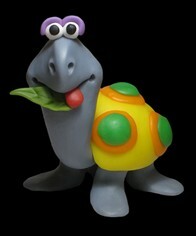 There's now a new children's section with a bit of background information on sculpting for kids. I hope to expand this section as time goes on, so if there are any questions you'd like answered, drop me a line. 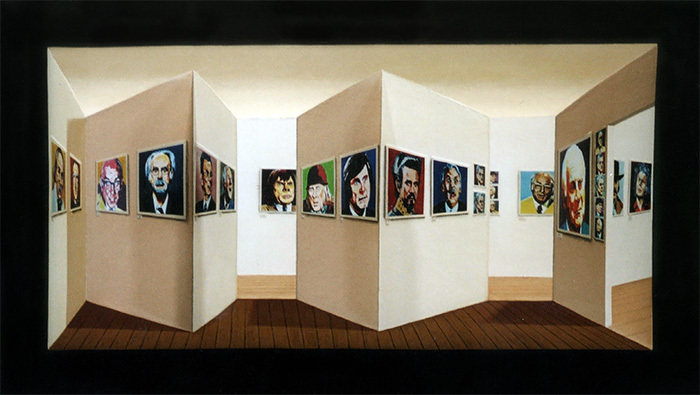 This 3D "portrait gallery" of Loriot is made in such a way that the illusion of movement is created when viewing it from different angles. It's a little difficult to describe and the effect is not visible in photographs, the best option is to come and have a look for yourself ! It's currently on display at "Cafe del Barista" in the Zillestraße Berlin. I'm looking for further locations to display this work and welcome any suggestions from those interested. 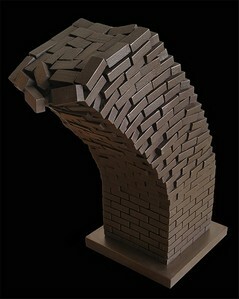 I've just completed work on my latest piece, a limited edition 35cm (14 inch) "brick" tower, caught as it colapses. 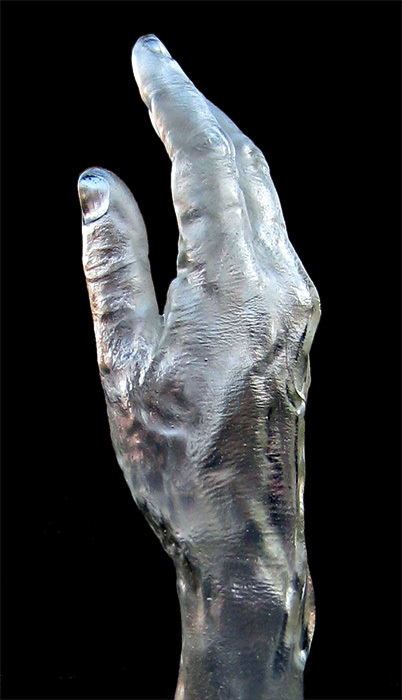 It's a cold-cast bronze but can be offered as a foundry cast bronze on request. Weighing it at around six kilos, it doesn't just look heavy, it is heavy. Although each stands as a sculpture in its own right, the three are best viewed as a series. 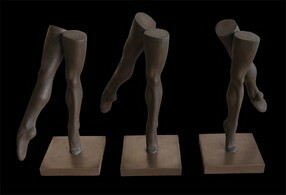 The sculptures depict three of the fundamental leg positions in classical ballet. I will be creating new figures to complement this series in the near future. They are available in cold cast bronze, a foundry cast ("hot cast") bronze is also available on request. My latest work is now on display at the Bremer gallery in Berlin. 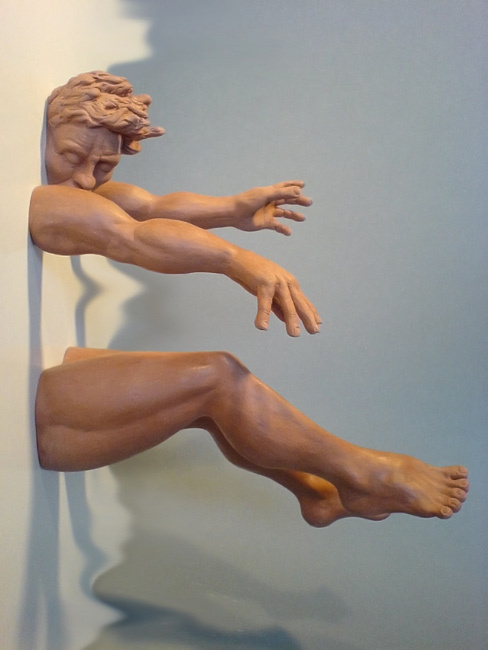 This sculpture is a limited edition cold-cast bronze figure, also available as a foundry cast bronze on request. More information on the mould making process for this figure can be found in the Extras section. "Quantum Tunneling" in Berlins Bremer gallery. 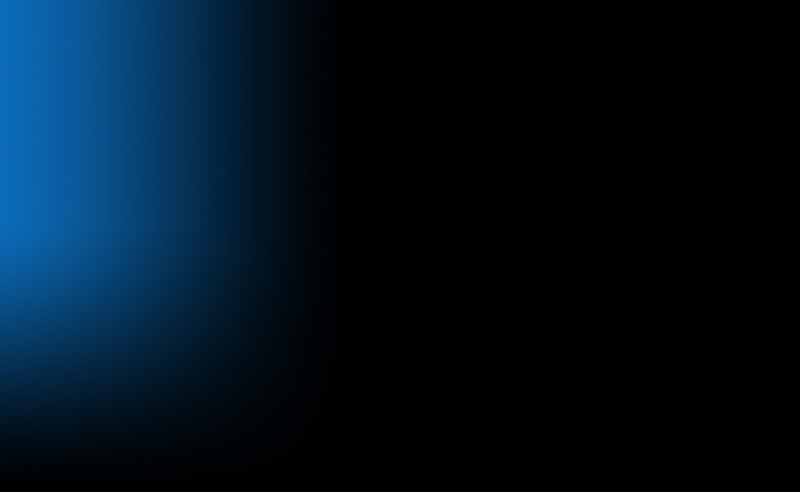 Here's where you'll find some behind the scenes information on various projects. I'll be adding to this section as time goes on so check back once in awhile for new articles. To kick things off there's some information on mould making. Read it here. 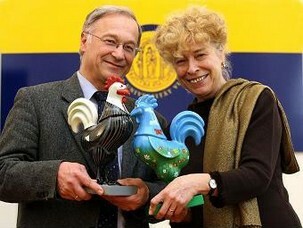 Cockerels for the city of Frankfurt-Oder. A pair of "glass" arms produced using clear resin for the Berlin art gallery Arndt & Partner. These arms, made as replacements for the original arms on the "Glass woman", were part of repair work done after several years of display and transport had taken their toal. Glass arms for the "Glass Woman"
This collection of 20 hand painted Loriot portraits is in need of a suitable venue for display. 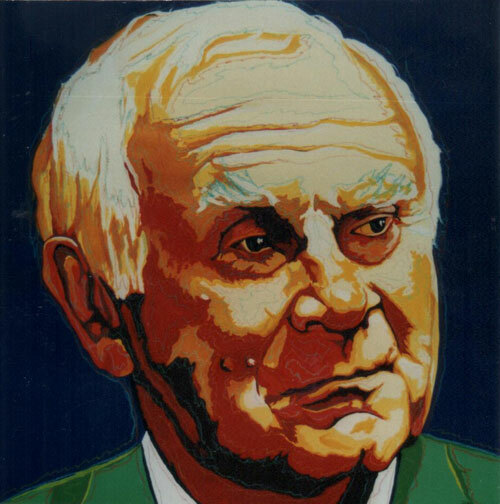 Each canvas measures 60cm x 60cm and Loriot himself has signed the first Portrait in the series. If you know of a suitable location or have any questions regarding the series, please contact me here.